Anse Royale, Mahé, 23 November 2013 – Local destination management company, Mason’s Travel, has made a donation of 60 trees planted to the Anse Royale community. 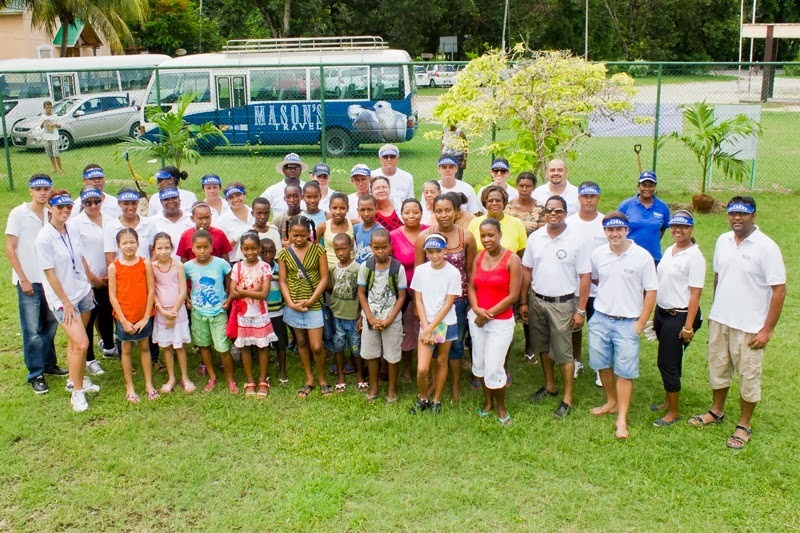 Twenty-five members of the Mason’s Travel team met up with members of the community to plant the trees at three locations - the Children’s Park, the Anse Royale Community Centre and the Anse Royale Home or the Elderly. The trees planted were a combination of coconut, palm and other coastal plants. The aim of this donation was to allow the company an opportunity t give back to the community as well as make a positive impact towards the sustainability of the natural environment. Mason’s Group Branding and Communications Manager, Nicole St. Ange, stated that the company was keen to contribute to the conservation of Seychelles’ pristine natural environment, as well as give back to the local community. “This event today was an opportunity for Mason’s Travel to do both of these, by planting 60 indigenous trees back into the environment and being to do so at locations that will directly benefit the local community,” she explained. “The trees planted today will benefit the Anse Royale community members, especially the children and the elderly that will benefit from this contribution directly, as well as contribute to improving air quality and the conservation of water in the region,” she added. 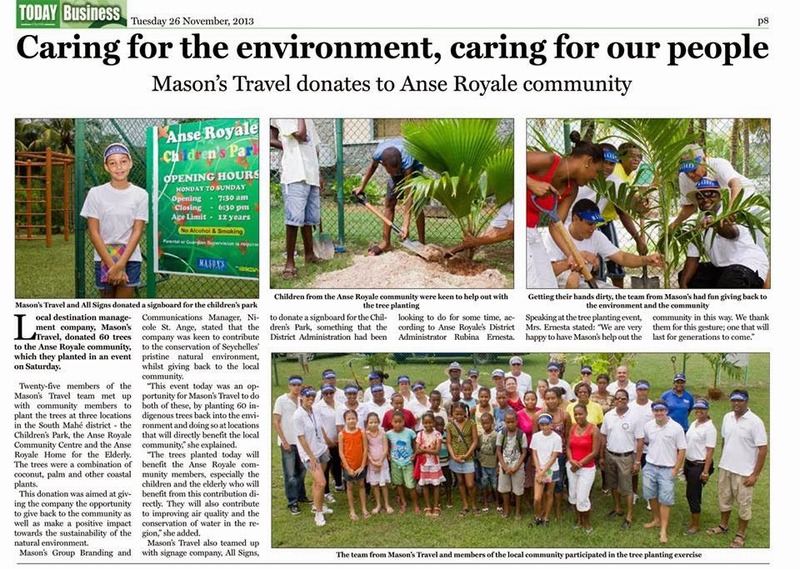 Mason’s Travel also teamed up with signage company, All Signs, with a donation of a signboard for the Children’s Park, something that District Administration had been looking to do for some time, according to DA of Anse Royale, Rubina Ernesta.